When it rains, it pours, but hopefully never inside your home. Roof leaks are bound to happen unfortunately. 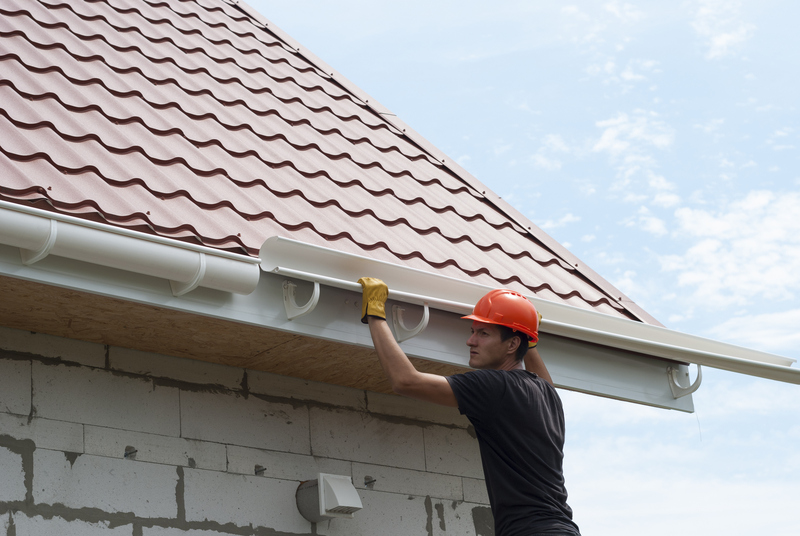 The trick is to catch the roof leak early to avoid more headache down the road. Here are the ins and outs of dealing with roof leaks, from finding the source to choosing whether to pursue a DIY solution. Finding a roof leak is often the hardest part of the process. It can start from an incredibly small crack in the infrastructure and escalate into an emergency situation. Some of these super small leaks can cause rot and other damage throughout your roof before you notice the leak. So, the moment you notice a water stain in your home is the moment to take action. Places on the roof most susceptible to leaks are worn, broken, or missing shingles, loose nails, improper sealing around vents, skylines, or chimneys. Try to think about the way that water would flow through a roof, and search for the leak with that thought in mind. Once you find where a leak started, begin the hunt for moisture. If you suspect a leak but aren’t sure you can try to recreate it. In order to do this, you must have a helper stay inside the house while you begin to soak different areas of the roof where leaks are suspected with a hose. Make sure that the hose is running for several minutes before you move on to the next area. Tell your helper to signal you when they start seeing the physical evidence of a leak. After a heavy rain, take a look at your attic with a flashlight. Be sure that you’re only stepping onto large support beams, not insulation or the top part of the ceiling. One wrong step could earn you a ticket to the emergency room. Start your search above where you noticed the leak from the outside, and keep looking up for wetness along the framing members. Look out for watermarks, stains, or discoloration that moisture would cause. If there are no signs of moisture, turn off the light to see if you can find a hole where daylight is shining through. Even the smallest crack can be the gateway allowing water to leak into your home. Knowing which leaks you can fix yourself and which leaks need a professional can be a tricky task. Be careful, or you may be just making the problem worse. If you can easily find the source of the leak then it might be a good candidate for a D.I.Y project. A good example of a possible D.I.Y project would be a fresh, new leak that didn’t cause any long-term problems to the shingles around it. On the flip side, you should call a professional if the leak has caused some serious damage to the surrounding shingles. If you can’t easily find the source of the leak there may be a bigger problem with your roof. Calling a professional now will save money in the future when the problem has grown larger. If you’re proactive about finding leaks now, you can make informed decisions to fix the source of the leak as soon as possible and avoid bigger problems in the future.